Bryce and I ventured down into the racer’s pit at the Lehigh Valley Veledrome sporting our media badges- he with my big Canon camera around his neck, me poised with a stenographer’s notepad and pen, but we just gawked, like hicks in New York City. 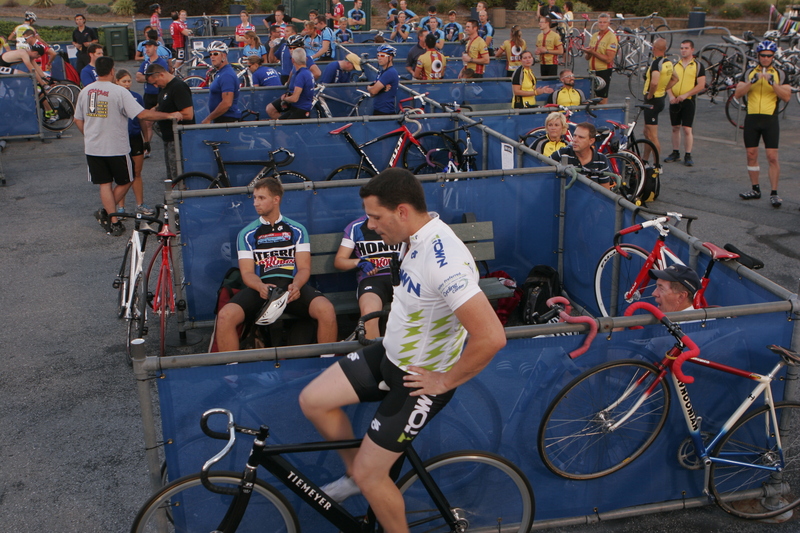 I just wanted to watch and look- at how they warmed up, at their bodies in spandex, at their muscular legs. I LOVE to ride my bike, it makes me feel like a kid and stretches my piriformis muscle which has been talking to me in the last years- (tight hip rotator muscle from backpacking), I usually take the family and friends on one long bike ride a year for Adventure Cyclist Magazine but I never thought of bicycle racing. 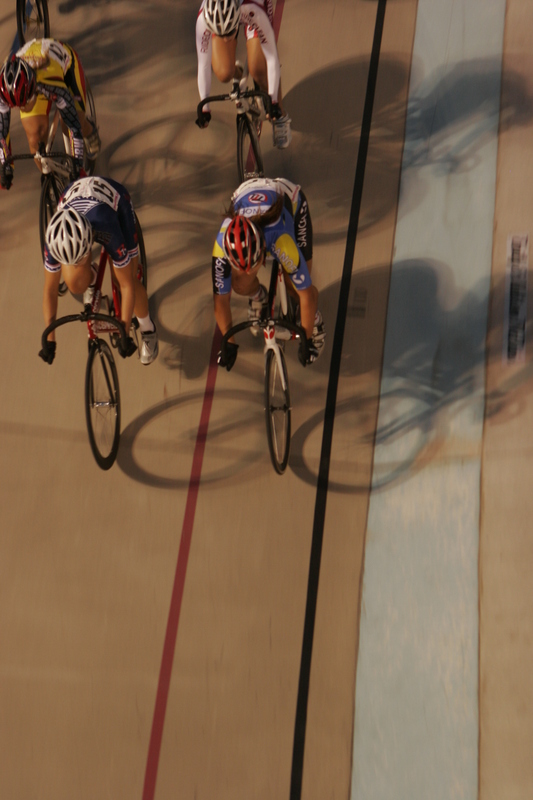 Sure enough, besides the Olympian racers, there were corporate teams there competing in their own races. 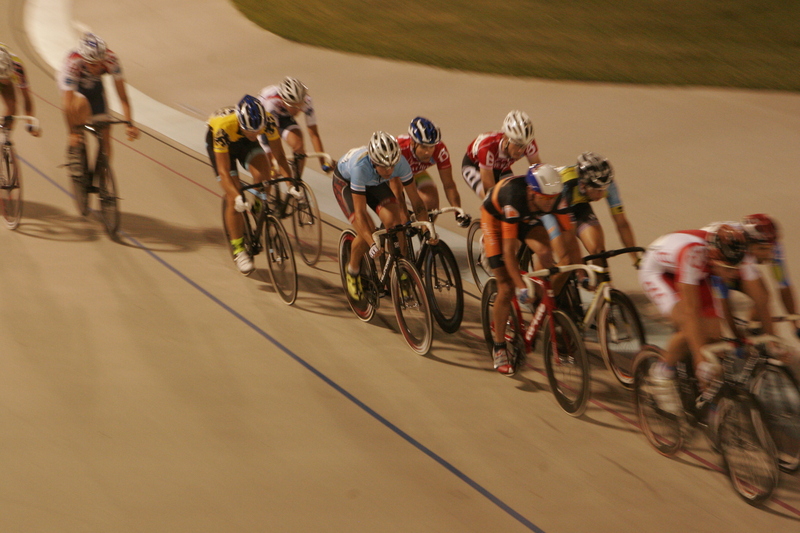 The Veledrome is now called Valley Preferred Cycling Center and they hold professional competitions and tournaments every Friday night in the summer. Top cyclists come from all over the world and it amazing to see how they ride- sometimes packed in a group so tightly you think it impossible that they don’t wreck. Their legs pump the pedals so quickly, they are blurred. 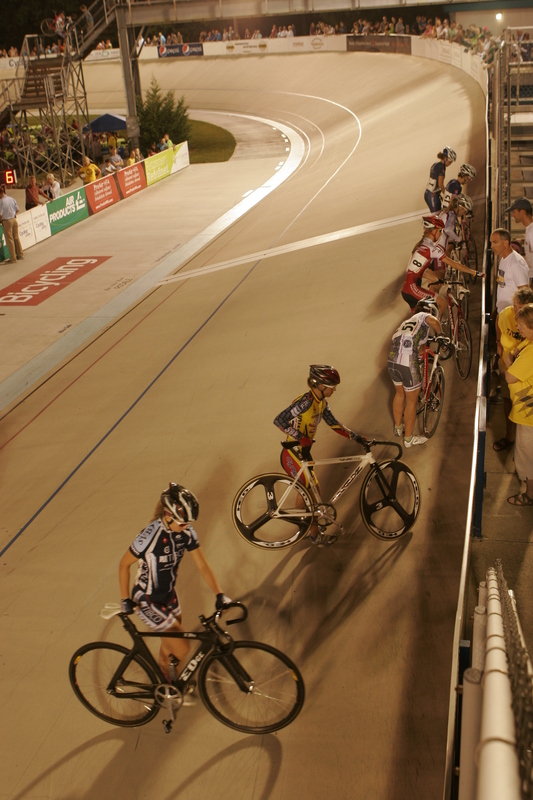 The big race we witnessed is called “The Madison” where teams of two take turns racing- and when they switch, they “tag” one another by grabbing their partners hand and giving them a push. It is gorgeous to see them work their athletic, extremely fit bodies. It made me want to strive harder to get in shape and exercise too. It made me want to be a bicycle racer some day too. Why not? I can do anything that I want. 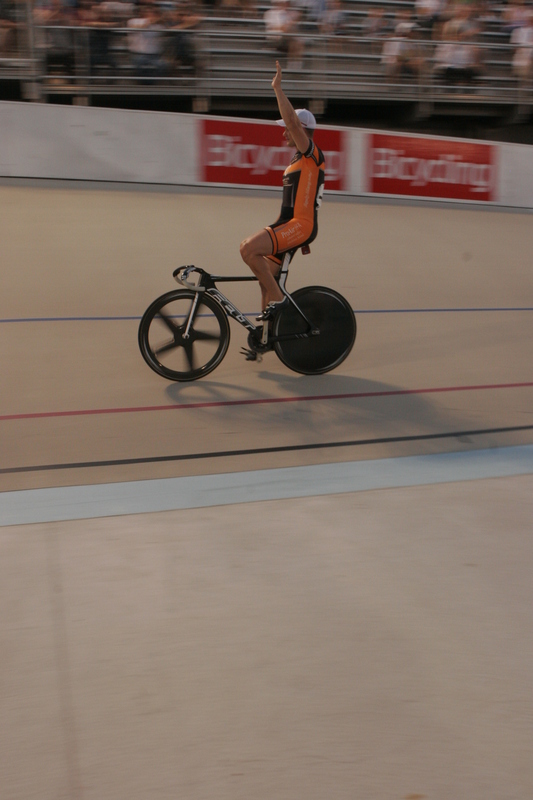 Honey, With your legs, you CAN be a bicycle racer!!!!! YOU GO GIRL!!! I love cycling myself. I did some racing for a few years. I still cycle and my favorite is my Carbon Fiber Rudy Elite Specialized….this is my baby!! !